Conveniently located off Interstate 80, this Baymont Inn and Suites Iowa City/Coralville is near University of Iowa, Iowa City Municipal Airport, Coral Ridge Mall, premiere golf courses, Old Capitol Museum, Carver-Hawkeye Arena, Kinnick Stadium, Iowa Avenue Literary Walk, and many local restaurants. 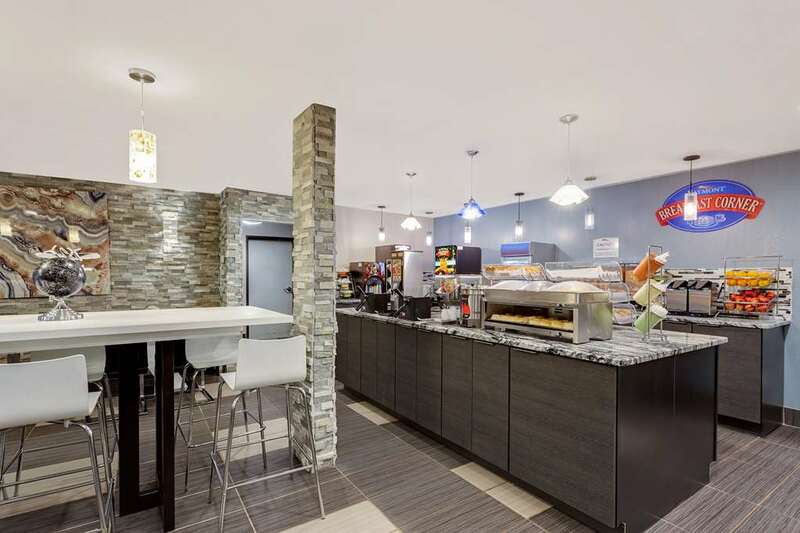 Experience hometown hospitality at this pet-friendly lodging with complimentary continental breakfast, complimentary Internet, heated indoor pool, fitness center, meeting and conference rooms, and business center. There is no charge for children under 17 when staying with an adult. Guest room amenities include coffee maker, desk, TV and complimentary newspaper. Suites, handicapped-accessible, and non-smoking rooms are also available.